For murdering his two brothers, Antoni Areny was executed on this date in 1943 in Andorra — that country’s first and only execution since the 19th century. The tiny Pyrenees principality, neutral in the continental war raging at that time, had many years before followed its neighbor Spain in adopting the garrote as its execution method. But the method being so long out of practice no satisfactory garrote executioner could be found to administer the punishment, so Areny was instead put to death by firing squad. 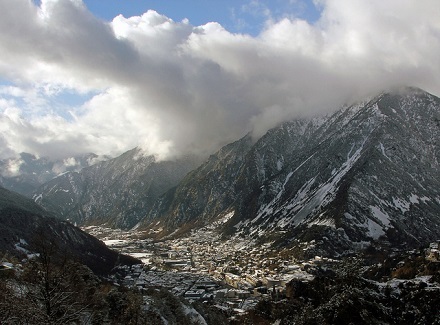 Andorra has the incidental distinction of being the last country in the world officially to discard the garrote as an execution method — in 1990, when Andoraa abolished the death penalty full stop. Andorra’s capital city Andorra la Vella. (cc) image from Isaac Torrontera.